Thought leadership on the topic of social selling has really taken off this year, with a variety of great webinars, case studies and publications becoming available. As 2016 draws to a close, we’ve put together a selection of the best articles to date. How have purchasing cycles changed in recent years, and what does this mean for sales professionals? What type of content is most likely to close a deal? How valuable is an employee advocacy platform to social sellers? In this interview Craig M. Jamieson answers these questions and others, shedding light on how traditional purchasing behavior is being turned on its head. Is Social Selling Future about Predictive Analytics & AI? Now that many companies are riding the wave of social business, Xavier Monty looks at what will happen next. Among his predictions are tools, which he says will play an instrumental role in the long-term success of social selling programs, and the importance of aligning sales activity with an employee advocacy platform. It’s a challenge facing B2B companies large and small. Additionally, launching social selling, a business practice with close ties to marketing, in a top-down culture dominated by a sales mindset. In this article Neal Schaffer discusses his work with B2B companies, sharing insights into why B2B sales departments need to invest in programs that have more in common with marketing activity than with a traditional sales approach. Is it possible to wing social business without setting concrete goals? Can you broadcast to the masses in order to engage individuals? In this article Koka Sexton sets out his recommendations for a successful social selling strategy, covering some of the most common areas in which companies slip up. Want more on this topic? 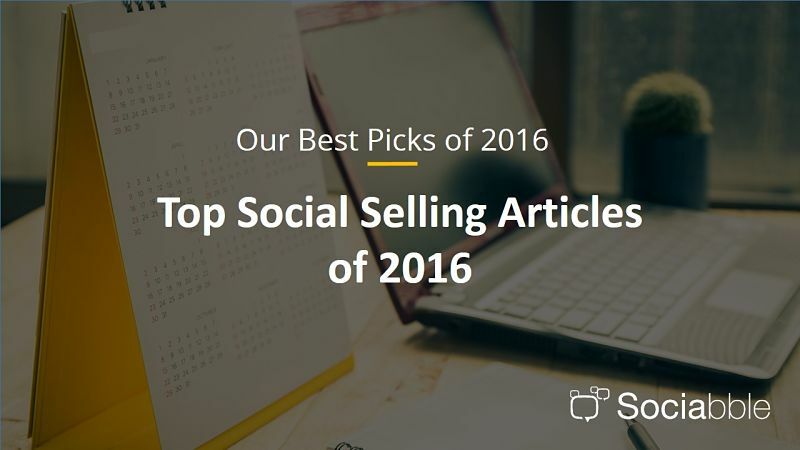 Check out the top social selling experts we follow on social media.